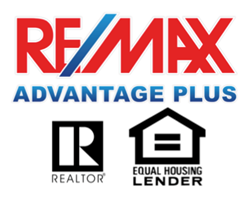 With over a decade of professional experience as an award winning RE/MAX Advantage Plus Realtor in the Twin Cities market, Mark Abdel is pleased and excited to hold a position with church Board with St. Mary’s Coptic Orthodox Church at their St. Paul, Minnesota location. With over a decade of professional experience as an award winning RE/MAX Advantage Plus Realtor in the Twin Cities market, Mark Abdel is pleased and excited to hold a position as Board Member with St. Mary’s Coptic Orthodox Church at their St. Paul, Minnesota location. The Church Board has many initiatives currently with the most important to include church expansion. For many years, Mark Abdel has been an active and contributing member of St. Mary’s Coptic Orthodox Church and his involvement as a Board Member further demonstrates his commitment to his church and the community. The church belongs to the Coptic Orthodox Patriarchate in Egypt under the spiritual leadership of His Holiness Pope Tawadros II of Alexandria. Mark Abdel and his family attend and contribute to St. Mary’s Coptic Orthodox Church as a cornerstone of faith, something that has transformed Mark into a more well rounded, ethical and moral individual. With services throughout the week as well as studies and events, the Church is a very important part of Mark’s life. St. Mary’s Coptic Orthodox Church holds many outside activities, celebrations of faith and philanthropic events, something that is important to Mark. For example each year the church holds their Coptic Festival celebration at the end of each summer. This celebration acknowledges and celebrates 2,000 years of Christianity in Egypt. Complete with cultural programs, music, exhibits, books, artifacts, Egyptian food and baked goods, this festival held in Minnesota brings the entire congregation together in a very positive and spiritual way. Outside of being an award winning real estate agent, Mark Abdel is also heavily involved in local philanthropy with charitable causes including St. Mary’s Coptic Church in Minneapolis, the Children’s Miracle Network, the Word Indeed Ministries, St. Jude Children’s Hospital, Childfund, and the Susan G. Komen Foundation. For more information about Realtor Mark Abdel, visit http://mark-abdel.com/ or call (952) 226-7700.